No. I don’t mean literally eating a frog, although it’s a nutritious delicacy in some parts of the world. And neither is it a code name for some type of hallucinogen. The term ‘eating a frog’ refers to the act of completing the most undesirable and difficult task of the day, first thing in the morning. It is also the one task that can have the greatest positive impact on your life if you do it now. So, suitably named, I would say. Now, after recovering from a brief separation from my task list, which became the length of the Empire State Building, this week I have been eating some gigantic frogs. So from my experience, let me give you 3 reasons why you should eat your frog as one of the first few tasks you complete during your morning. My natural inclination, like any normal human being, is to slightly delay work especially when I don’t fully understand the task ahead, or when I know that my total devotion to it will take a few hours to complete as a minimum. But then I find myself in a position where things become urgent or unfinished. Then it starts to take an unreasonable toll on my blood pressure as my life suddenly turns into a horror movie. I then become the cute blond-haired lady screaming and running down the street from the big, hairy monster. I run, and run and all I can do is run, but the monster either catches up with me, or I defeat him. Now, the great thing about eating our frog is that once the burdensome task has been completed, once we confront that project, write the draft of that book, start the business plan, then that overwhelming feeling reduces as we feel much more in control of our time. Then ‘play time’ becomes exactly that, and not an excuse to run away from what we should be doing. The idea that we don’t have time feels so real, but isn’t it interesting that we will always find time to do what we WANT to do? Whether we choose to go abroad for a week or whether we choose to spend 3 hours on Facebook looking at newly uploaded photos and friends’ status updates? My point is that although we may not be able to do everything each day, there is always time to do the most important thing. Do that one thing each day, preferably in the morning which will contribute to your successful future. If your life is already full to the verge of explosion, you can curve out just an extra hour a day before bed or first thing in the morning. This will result in you laying your head down at night and with the satisfaction of switching your life from the default setting to a setting where you create your future. According to Thomas Edison, “successful people make a habit of doing what unsuccessful people don’t want to do”. And he’s right. What we do everyday makes the difference. It made the difference between Usian Bolt who came first in the 100 metre finals in the Olympics earlier this year, and the guy that came last. Yes, talent and ability is a contributing factor, nevertheless discipline has everything to do with winning the race. 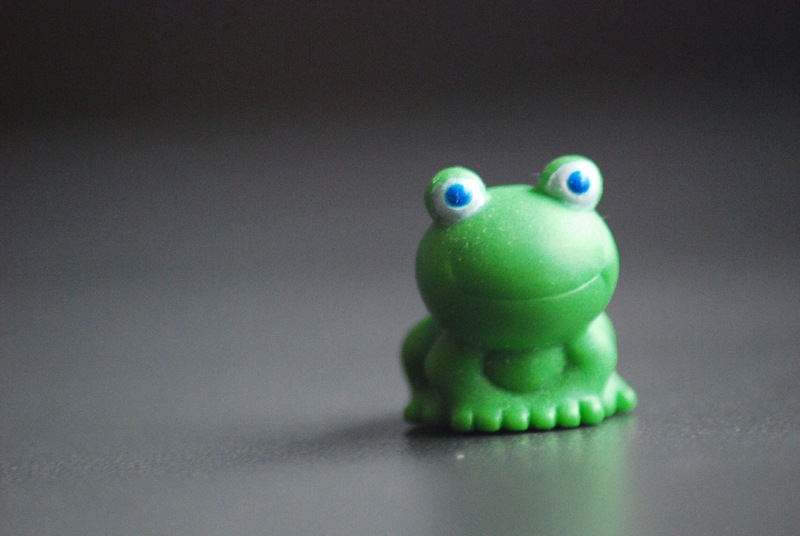 Our discipline will determine how consistent we are at eating our frogs. Discipline seems like it almost takes the fun out of life, as we force ourselves to do things that we don’t want to do. It reminds me of the good old days when my mum would arrange a reunion with myself, cousin belt and cousin slipper when I had gone and done something I shouldn’t have. But self-discipline is not so much punishment, as it is teaching ourselves to do the things we should do now, so that we can indulge in better things later on. I would love to hear about the kinds of frogs you have been eating recently or whether your frog is still chasing you. Feel free to add your comment below. Also, please feel free to subscribe by clicking the blue follow button at the top right hand side of this article, which means you will receive a blog post once a week straight into your inbox, how convenient is that? I look forward to your comments.